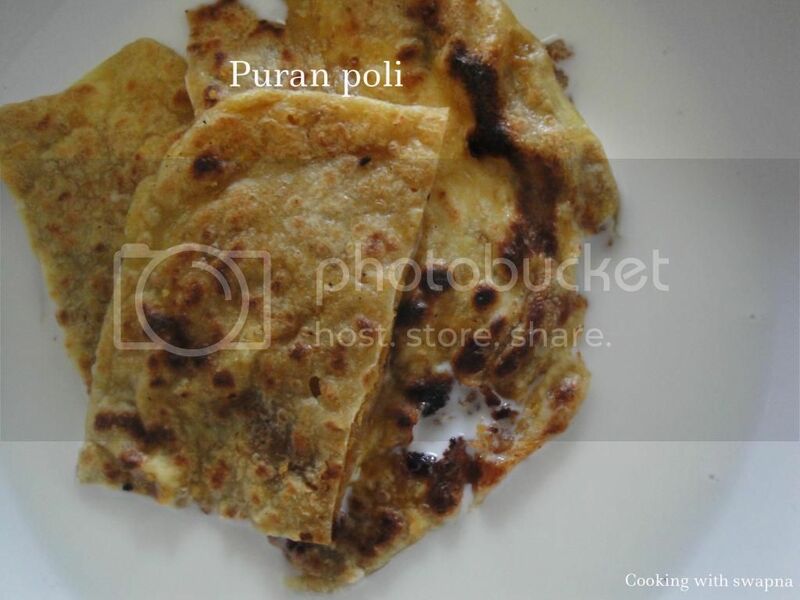 Poli is one of my favourite sweet. I like to have this for my breakfast along with the warm milk. 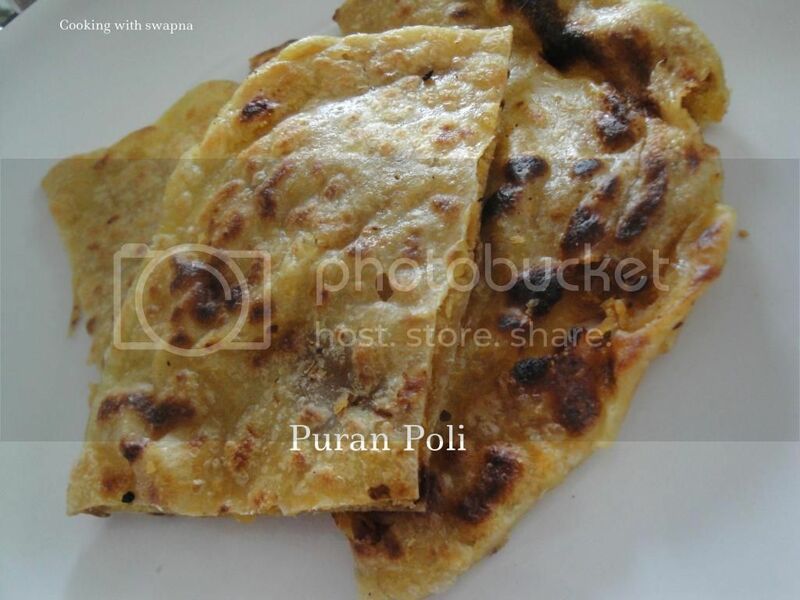 We can make this sweet in two different variation using coconut or dal as a filling. We can store the poli on room temperature in a air tight container. 1. Mix and knead together flour, rice flour, rava (Semolina), salt, turmeric powder, oil and enough water for a soft dough. Keep it aside for 4 hrs. 2. Pressure cook the channa dal till done. Drain the water & grind the dal into fine powder or smash it to smooth paste. 3. Meanwhile dissolve the jaggery in little water and filter it. Heat little ghee in the pan, add the jaggery water, roasted coconut powder and grounded channa dal. Cook the mixture. Turn off the heat and add cardamom powder. 4. Divide the dough into equal parts. Roll the dough & stuff the dal mixture. Close and roll the dough into a disk either on zip lock covers or banana leaf. Apply ghee while rolling. 5. 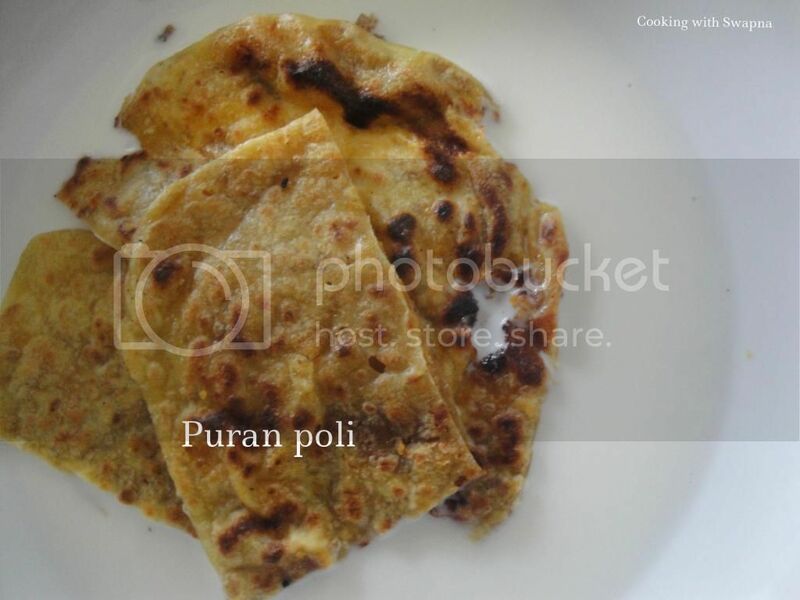 Cook the poli on the low flame till golden brown in colour. Enjoy the poli with warm milk.